My martial arts training started in 1989 in Bakersfield California where I started training very briefly (6 months) with Master Wallace (A friends Dad who had a school) in the art of San Soo. It only served to entice my interest when I moved back home to Missouri and found my "Home" school and started training at Wu Hsing Chuan in 5 Animal Kung Fu and Chinese Boxing in December of 1990. 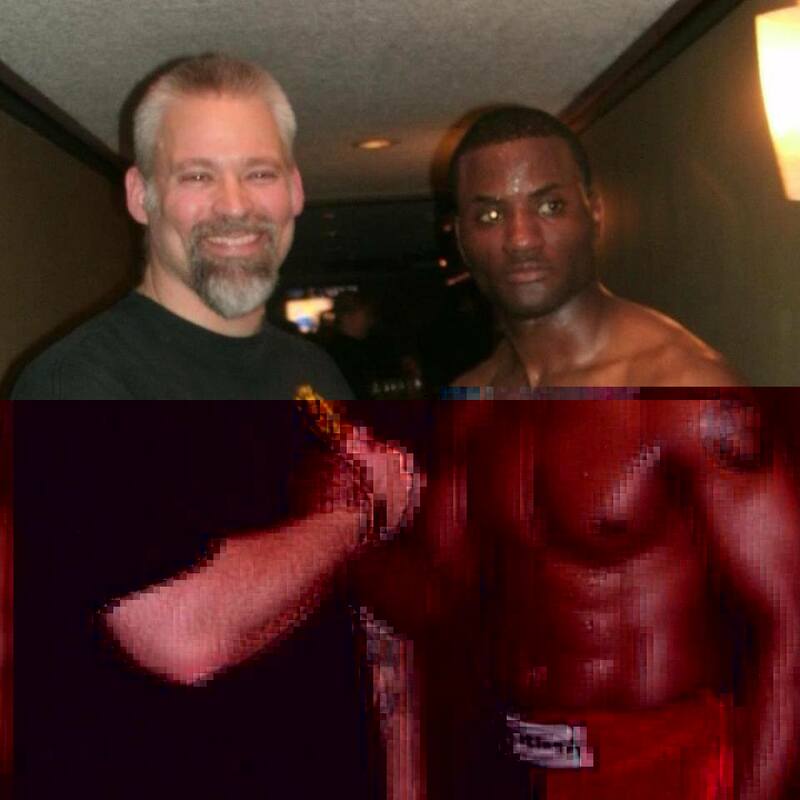 I trained with Sifu Larry Adams consistently until 1993 where I began my training with Kru Ron Smith in Muay Thai. I trained with both until 1995 when I decided to enter the ring and fight. I fought several fights that where not sanctioned but several that where under Kru Ron Smith. I retired in 1997 the Missouri CKC Super Heavyweight champion. I continued training off and on with both styles until Sifu Larry Adams convinced me to train/coach a San Shou/Kickboxing Team for his school in 2009 while my daughter achieved Black Sash in 5 Animal. I trained/coached our fighters and got them ready to compete around the country. Helping them achieve victories at international competitions. I had several local fights with victories as well as taking them down to Oklahoma and winning all weight divisions the three had entered. All the while compiling my own experience training with that of my fighters and training them in a system I originated from the three arts I've studied. 5 Animal Kung Fu/Chinese Boxing, Muay Thai and San Shou. Also in 2004-2006 I competed in Amateur Bodybuilding shows. Placing as high as 4th in a field of 15. I enjoy training/coaching immensely as I love seeing my students learn and apply what I've taught and flourish and go in to bigger and better things. I take my training/coaching extremely serious and give my heart and soul when I do.